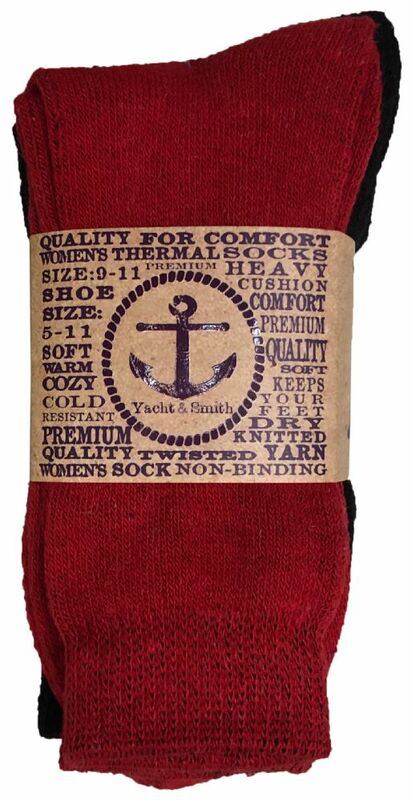 Yacht And Smith Womens Warm Thermal Boot Socks BULK PACK at low wholesale prices. 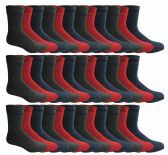 Socksinbulk.com offers Womens Thermal Socks at bulk discounted prices. 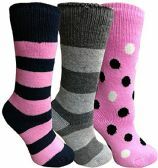 WHOLESALE THERMAL SOCKS: Each bulk pack includes 60 pairs of high quality thermal winter socks. women’s (size 10-13 / size 9-11). Perfect for extreme weather conditions and the frigid temperatures of the winter time. With 60 pairs of socks, you will never have to worry about running out of socks again! NOTE: The top colors may vary. 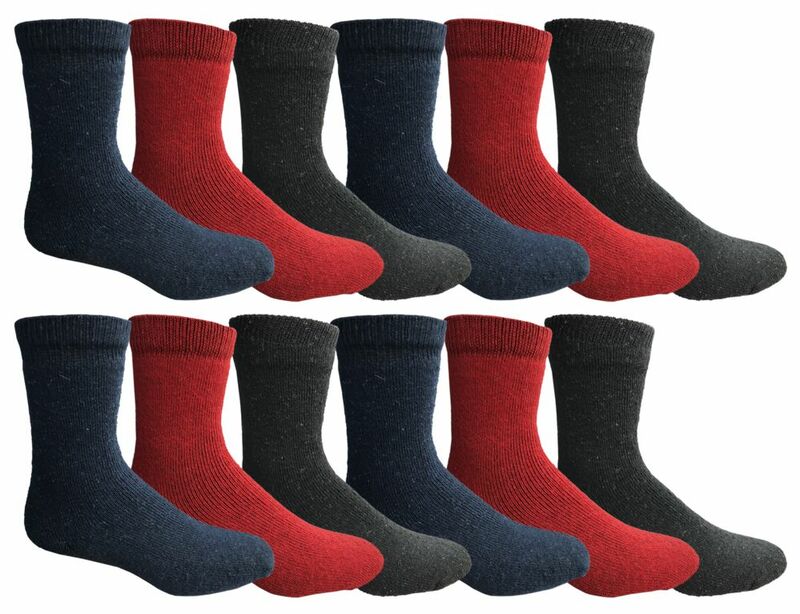 BULK SOCKS: Features thermo-insulating technology which helps to keep heat close to the body. Designed for temperatures of -15F to 25F. Perfect for various winter sports and activities including skiing, snowboarding, hiking, or simply during your commute to work in the colder season. Can also be worn indoors to help keep your feet feeling cozy. WARM BOOT SOCKS: Helps to keep your feet and toes toasty. These crew length socks cover more of your legs for additional warmth. Features a non-constricting comfort stretch and a cushioned sole to help your feet stay comfortable throughout the day. Makes the ideal companion for your next fishing, camping, or hunting trip. MULTI SEASON WEAR: Makes the perfect boot socks all year long. Can be worn with boots or sneakers. Thicker than typical socks, these heat retainer socks makes spending time in the great outdoors a lot more comfy. The non-abrasive cotton blend allows endless hours of wear. Perfect for the family, or as a gift, or as a donation to charity. SIZE: 9-11 will fit women’s shoe sizes 5-10. Made with 70% Acrylic , 25% Polyester, and 5% spandex for a comfortable fit. 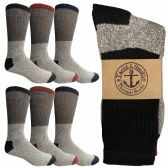 Wholesale thermal socks for an affordable price.